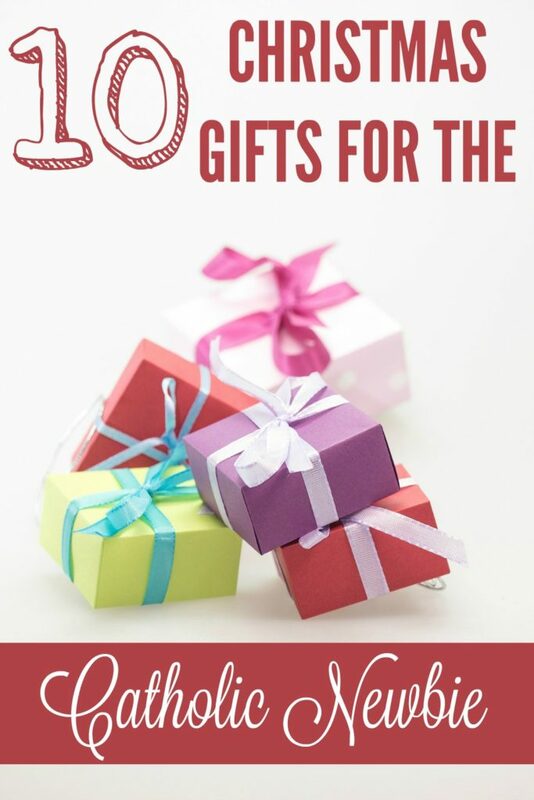 Note: This post contains affiliate links for which Catholic Newbie may earn a small commission if you purchase items (at no additional cost to you) when clicking through. I’ve had several interactions with non-Catholic Christians since my conversion where I’ve realized they are not aware of some basic tenets of our faith that I think would go a long way in bridging any divides between us and provide them, at least, with some perspective of where we are coming from and a more accurate understanding of our beliefs. We shouldn’t expect non-Catholics to know about the Catholic religion unless they’ve taken the time to explore it for themselves. I certainly did not know any of these things before seeking out the Church, but I definitely wish I had! We believe that Jesus is physically present in the bread and wine we consume at every Mass. I think this one fact explains so much about the Catholic faith that is misunderstood by non-Catholics. This is why we have to go to mass every week, this is why our churches are ornate and our vessels are made of precious metals, this is why non-Catholics cannot receive communion unless they have professed their belief, this is why if a wafer falls on the floor it is treated with the utmost reverence. This is why we cannot be satisfied in any other church — we cannot leave Jesus behind. This belief in the physical presence of Jesus dates back to the first Christians. Read the words of St. Ignatius of Antioch (who knew the Apostle John and was born in 35 AD) in his Letter to the Romans about the presence of Jesus in the Eucharist. A great, easy-to-read book on this topic is the “7 Secrets of the Eucharist” by Vinny Flynn. We believe you can go to heaven, too! I think many non-Catholics may wrongly assume that Catholics think they are the only ones getting into heaven. We are not God; only God knows such things. We do believe that we have found the path that gives us the most assistance in entering heaven through the sacraments Jesus left behind (communion, marriage, reconciliation/confession, confirmation, etc.) but we certainly don’t think the doors are only open to us. We believe in the authority of the Pope and the Church of Rome, because that is what early Christians practiced. Again, see the Letters of St. Ignatius in his deference to the Church of Rome along with the example of many other early Christian leaders (email me for more). We are following the example of what the apostles taught the early Christians. Great article on this topic. I highly recommend doing this research and reading early Christian documents for yourself. Don’t take my word for it! Catholic Answers has a great book called “The Fathers Know Best: Your Essential Guide to the Teachings of the Early Church” by Jimmy Akin that is a good overview of this topic. We follow what the early Christians practiced in our “Tradition,” because there was 300 years before the New Testament was compiled. The Catholic Church’s teachings are based on both Scripture and what the Church refers to as “Tradition.” Tradition is factored in, because there was a period of 300 years after Jesus’ death and before an official compilation of New Testament documents was compiled. We follow the tradition that was practiced during that time, because it was comprised of the beliefs, teachings and rituals handed down from Jesus himself to the apostles and on to their successors. This includes teachings like Mary’s Immaculate Conception (she was conceived without sin in order to give birth to God as man), her Perpetual Virginity (she never had any other children and remained a virgin) and her Assumption body and soul into heaven, beliefs that were held by early Christians and only made “official” by the Church after they were challenged over time. Many wrongly hold that these doctrines were created at the councils where they were affirmed, but rather the councils simply made official these doctrines long held and practiced by early Christians. Great books to read more about the Church’s teachings on Mary include “Behold Your Mother: A Biblical and Historical Defense of the Marian Doctrines” by Tim Staples and Meet Your Mother by Mark Miravalle. Confession is not a place to get rid of all your wrongdoings without contrition only to go back and do them again. I remember watching a movie of a young man returning to the priest every week to report how often he masturbated, only to go back and do it all again. That’s not the goal and your sins are not forgiven that way. The idea is to go confess your sins with true repentance (not with plans to go right back and do them again), receive forgiveness and graces (heavenly assistance) to keep from doing those sins again from Jesus (Did you know that we believe that Jesus is present in the priest in the confessional? ), and to try earnestly not to commit those sins in the future. 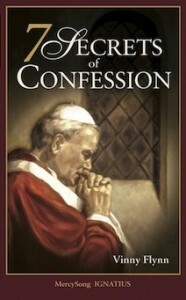 An easy-to-read book on Confession is “7 Secrets of Confession” by Vinny Flynn. There is an unbroken line of succession from Jesus to Peter to all Popes and Bishops. This fact initially blew me away during my education on the Church. The Catholic Church can trace a laying on of hands (as was done in the Acts of the Apostles when they added deacons) all the way back from Jesus to Peter to all Popes and Bishops. That is powerful stuff! We read the Bible, too! Over a period of three years, if you attended daily mass, you would hear readings from nearly every book in the Bible. And, of course, we do plenty of Bible reading on our own, as well, though you may find us less likely to be able to tell you the chapter and verse, but that doesn’t mean we aren’t educated on God’s inspired word. In fact, Catholicism taught me a key fact about the Bible that makes it so much more interesting: it’s called typology and it means that the Old Testament foreshadows the events of the New Testament and the New Testament fulfills the Old. It’s fascinating to see the parallels, such as between Abraham and Jesus, Adam and Jesus, Mary and the Ark of the Covenant, Eve and Mary, and on and on and on. Here’s a fascinating read on that topic: New Testament Basics for Catholics by John Bergsma (hands down one of the best books I’ve ever read!). The Catholic Church is made up of sinners. Yes, we are a Church of sinners. That is why Jesus came to reconcile us, but despite his help and graces we still remain in the fallen state of sin inherited by Adam and Eve. Yes, we have child molesters. Yes, Catholics have done bad things in the name of religion. Yes, we have murdered, stolen, been greedy, disobeyed God and more. But so has the rest of the world; it’s part and parcel with being a part of fallen humanity. Such wrongdoers should justly be punished and will certainly be judged by their actions on the last day. Jesus, however, promised that nothing would prevail against the Church (not even sinners) and left us with the Holy Spirit (not humans) to guide it. That’s why we hold true to the teachings of the Church, no matter its sinners, and why even if a priest is a sinner, his sacramental actions are still valid. They are not his works, but those of the Holy Spirit and Jesus within him. Don’t let hypocritical Catholics mislead you. I’ve often been pointed to examples of Catholics who don’t follow the truth of the Church in the way they live their lives as reasons why the Catholic church is wrong or bad. As above, we are made up of sinners just like the rest of the world, and there will be these people. But don’t let them cloud your image of the Church left by Jesus. The priest who asked for a bribe for an annulment was wrong; the Catholics shouting obscenities at the Notre Dame football game are wrong; the politician promoting abortion rights receiving communion is wrong. But like all sinners, Jesus welcomes them to repent, stop their wrong actions and come back to the fold. Rather, I challenge you to seek devout Catholics who live their faith fully. You will find models of holiness and witnesses of Christian joy beyond your wildest imaginings. Thanks for taking the time to read. What questions do you have about Catholicism? Would you be so kind as to “like” Catholic Newbie on Facebook? If you want to become holy, be a saint, remain steadfast in your Christian faith, you’ve got to get to know Jesus. I struggled with this early on in my conversion. I felt like I did not know Jesus, that He did not want to know me (why would He want to know lowly ol’ me?) and I was, in fact, intimated by him. I pictured Jesus overthrowing the money-changers’ tables and some of the harsher statements he made. So I was distant. But soon I realized that if I was going to be a saint — or strive to be — I’d better get to know Jesus! Receive Jesus – Tops on the list of ways to grow closer to Jesus has to be receiving him in the form of the Eucharist. This is a special gift enjoyed by Catholics, whose priests transform ordinary bread and wine into the living God by repeating Jesus’ words at the last supper. When we receive Jesus, we meet Him in the flesh and we literally carry Him with us out into the world. Receive Jesus as often as you can! Read the Gospels over and over – This tip I attribute to author Matthew Kelly, but it’s a key one. A wonderful way to get to know Jesus better is to read about him and the main place we can do that is through the Gospels. Read them over and over, a little each day, letting Jesus’ words and actions sink in. Kelly, in his book Rediscover Jesus, recommends imagining yourself as different people in the stories to place yourself in the context of what is happening. Spend time in adoration – In addition to receiving the Eucharist, we can also be in Jesus’ presence by simply being in the presence of the Eucharist. Try to visit your church’s Blessed Sacrament Chapel (where you can always find Jesus in the Eucharist identified by the red candle burning outside the door) or during Adoration where the Blessed Sacrament is exposed versus locked away. Read, pray, write or just sit in the quiet presence of Jesus. Many experience vocational callings and other insights during adoration. Encounter Him in Reconciliation – Did you know when you go to Reconciliation, you are in the presence of Jesus? Jesus is present in the priest, no matter which priest you see. In Reconciliation, he pours out his mercy upon us, forgiving our sins and giving us graces to help us from sinning again and to grow in holiness. Other than the Eucharist, it’s one of the few places you can encounter Jesus. Go and go often! Choose a stage of Jesus’ life you can relate to – If you’re like me and struggled feeling close to the Jesus in the Gospels, consider Jesus at a more vulnerable time of life. St. Therese of Liseiux developed a devotion to the infant Jesus. Can you picture Jesus as a tiny baby, cooing in his mother’s arms, nestled close to Mary’s heart? Start there. Talk to the Baby Jesus or Jesus as a youth, working with his father as a carpenter. Talk to Jesus – How can you really get to know anyone without talking to them regularly? You can read about them, but is that the same as really knowing them? Develop the HABIT of talking to Jesus all day long. Thank Him for the beautiful day, the blue skies and birds singing — for every good thing that happens during your day. Ask for help when you have a decision to make — big or small. Tell Him when you are frustrated, stressed, happy or joyful. He wants you to talk to Him! Read Jesus Calling – It can be hard, of course, when the person you’re trying to get to know doesn’t talk back to you — in words, at least. I’ve found Jesus Calling, and the version for kids, to be a great way for me and my kids to grow closer to Jesus. The book is a daily reflection where the author puts all of Jesus’ teachings into words, as if He were talking directly to you. It’s helps us, in all our humanness, to hear His words as if they were spoken directly to us. Read Rediscover Jesus – Author Matthew Kelly of Dynamic Catholic has written a new book with the aim of helping Christians — and all people — develop a personal relationship with Jesus. He does a wonderful job of considering Jesus’ teachings and the example He left us to help us understand how we can live as He desired in the context of our modern society. Pray the Rosary – Of course, we associate the rosary with Mary, because she’s the one who gave us the prayer, asked us to pray it and it’s filled with Hail Marys. But the Rosary is really about Jesus. If you pray the rosary daily — or as often as you can — you will be meditating day in and day out on the life of Jesus. Each day is a different set of “mysteries” or events in Jesus’ life to meditate upon as you say the prayers of the rosary. You’ll find new insights pour in as you contemplate these events over and over every time you pray the rosary. Read The Diary of St. Faustina and the Flame of Love (free copy here) – These two books, which are approved by the Catholic Church as communications of Jesus, present a more personal voice of Jesus and can help you relate better to Him. Two passages I bring to mind often while looking at the Cross are His request that Elizabeth Kindelmann call him “my most adorable Jesus” and his request that she imagine herself “nestled close to his merciful heart.” I can certainly picture myself there. 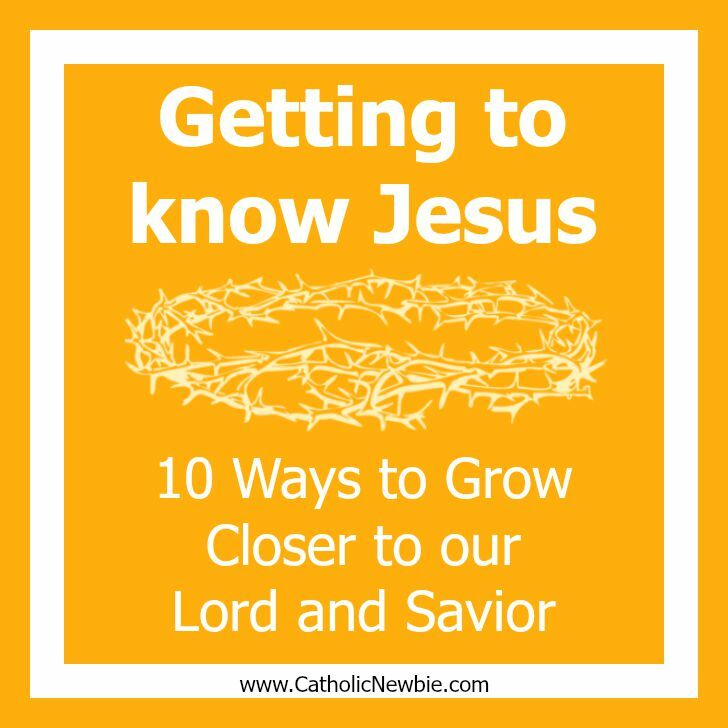 This is by no means an exhaustive list of how to get to know Jesus! Please share what has worked for you and what a difference it has made in your life to have a personal relationship with our Lord and Savior. 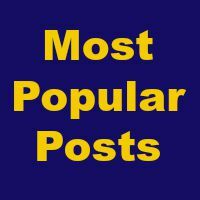 Thanks to all of you for continuing to give these posts life by sharing them on your favorite social networks and via email, parish newsletters and beyond! Thanks be to God if you have someone in your live who’s decided to join the Catholic church or who is spending their first Christmas as a Catholic. These newbies need your support to help their faith flourish and grow so they will continue to become active Catholics who are making a difference in the world and spreading the Good News. 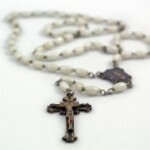 1) A Rosary – Every Catholic needs a rosary (well, everyone in the world needs a rosary! ), but to help keep their faith on fire (see more ideas), a devotion to Mary will do wonders. She will guide and mold them into the people God wants them to be. One of the best ways to get to know Mary — and her Son — is to pray the rosary. 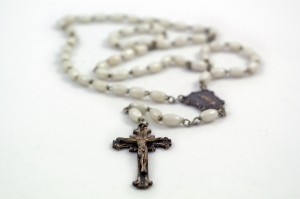 Buy them a simple rosary — it doesn’t need to be anything expensive or fancy they’ll be afraid to use — and print them out a guide to how to pray it like this one on Real Men Pray the Rosary. 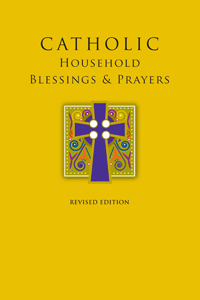 2) “Catholic Household Blessings & Prayers” book – I just came across this resource on the United States Conference for Catholic Bishops website, which I think is perfect for someone still learning the faith. This paperback book helps you memorize essential prayers, explains the Liturgy of the Hours, goes through the Church’s liturgical year and how to pray throughout, as well as provides basic prayers for meals, blessing a house, Advent wreaths, times of distress and more. Plus, they’re giving away 1 copy daily throughout Advent. Enter to win here. 3) Advent Wreath – No need to buy a fancy, dancy wreath! Make your own just like I did in these 4 simple steps that even the least crafty of us can accomplish. I’ve found many longtime Catholics do not have Advent wreaths, so this is a great way to get them started and it gives them something to pass down from generation to generation. 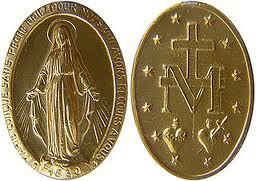 4) A Miraculous Medal – Continue to develop their devotion to the Blessed Mother by giving them a Miraculous Medal to wear. Mary asked St. Catherine Laboure to have this image cast into a medal and promised many blessings (and conversions) to those who wear it. Mother Teresa handed them out regularly. They only cost $1 at most Catholic book stores. I now have a store of them to pass out because mine always generates conversation among Catholics and non-Catholics alike! 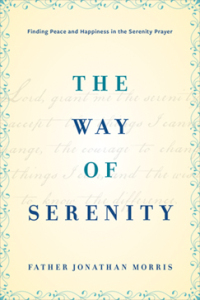 5) “The Way of Serenity” (Harper Collins, 2014) by Father Jonathan Morris – There are several Catholics in the public eye who do a remarkable job of reaching across faith boundaries and demonstrating Catholicism to be modern, relevant and even fun! Father Jonathan Morris, a regular correspondent on Fox News Channel and program director for Sirius’ The Catholic Channel, is one. 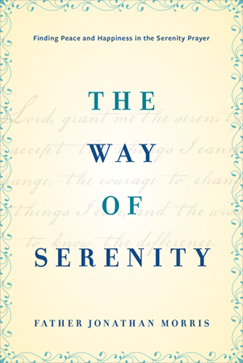 His new book, which looks at faith through the lens of the Serenity prayer, offers some of the most amazing conversational gems of wisdom that will certainly relate to your Catholic newbie. 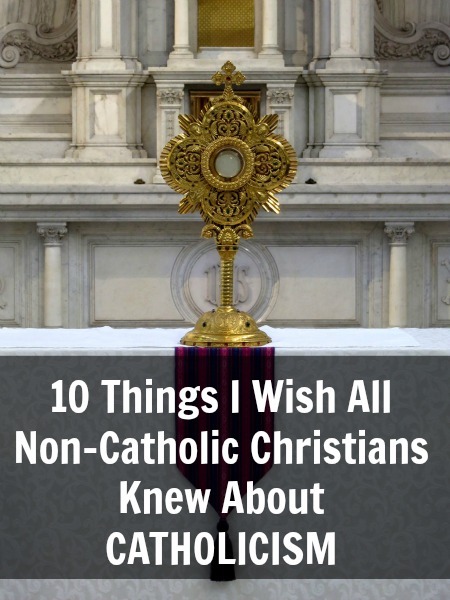 It’s an easy, inspiring read and it will likely encourage them to delve deeper into the Catholic faith. 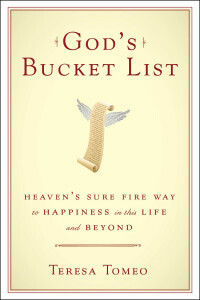 6) “God’s Bucket List” (Image Books, 2013) by Teresa Tomeo – Another easy-to-relate-to Catholic who has the gift of reaching outside of Catholicism is Teresa Tomeo, author and host of Catholic Connection, a daily Catholic news and talk radio show on EWTN Radio. I have listened to Teresa Tomeo almost daily since I happened upon the existence of Catholic radio and really enjoy her conversational and fun take on the world, the faith and how we can live it authentically. 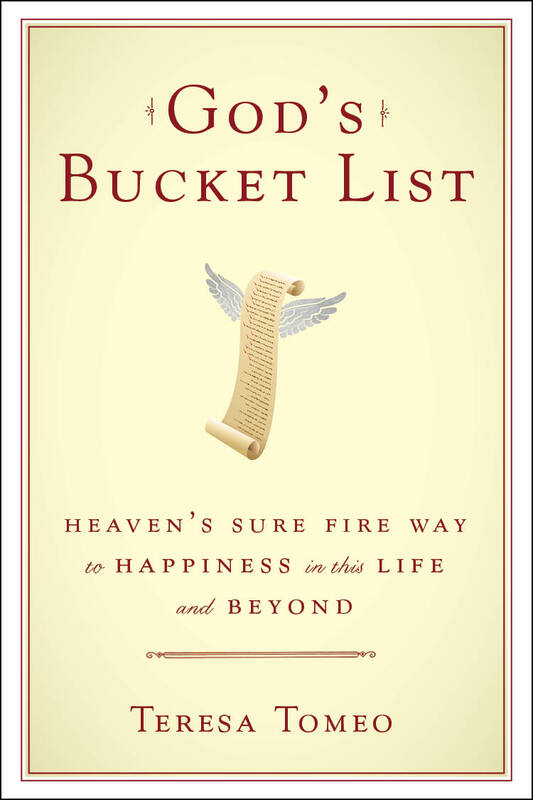 Her latest book, “God’s Bucket List” challenges you to consider what God has planned for you and shares her own wisdom and experiences through many laugh-out-loud stories. 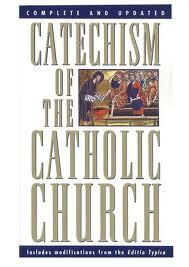 7) The New American Bible & the Catechism of the Catholic Church – Everyone should have both of these — enough said! Package them together and perhaps bookmark a favorite passage in each that you think will be meaningful to them for a personal touch. 8) “7 Secrets of Confession” (Ignatius Press) by Vinny Flynn — Confession, or Reconciliation, is an easy one for new Catholics to avoid. Or if you have someone going through RCIA, they’re likely very nervous about their First Reconciliation. I’ve got tips in my blog post on what I wish every RCIA candidate new about confession, but this book will do wonders in educating them in an easy-to-read way about the benefits and the reasons for confession. I loved it! It will inspire you to get there much more often, as well. 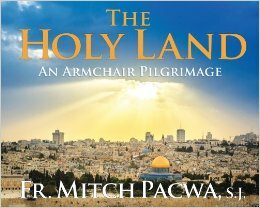 9) “The Holy Land” (Servant Books, 2013) by Father Mitch Pacwa, SJ – I think that as Christians, we need to take the time to understand the Holy Land in order to provide context in which to place Bible readings and Jesus’ life. For example, when the Bible tells us Mary, newly pregnant, went to visit her cousin Elizabeth, did you know geographically how challenging that was? Seeing where she had to walk and the hills she had to climb gives you a new perspective on the self-sacrifice she made. Father Mitch, whom I adore for his ability to simply explain the Catholic faith without all the jargon, takes you on an armchair journey in this beautiful coffee table book filled with photos to all the key spots mentioned in the Bible, offering his unique insight along the way. 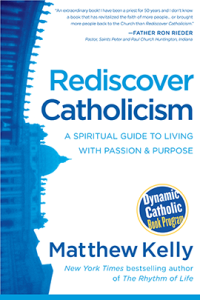 10) “Rediscover Catholicism” by Matthew Kelly – I just can’t have a list of recommendations without this book! It was key to my conversion and I think if you have any fence-sitters when it comes to the faith, it will help them make the leap. Matthew Kelly has a unique gift, not unlike Father Jonathan and Teresa Tomeo, to make the faith relevant to you today and explain why fasting, confession, weekly mass attendance and more is important and will help you on the path to becoming your best self. You can order a free copy here. Let me know what you pick and if they liked it! May they have a very Merry Christmas as they unearth all the amazing resources of the Church!